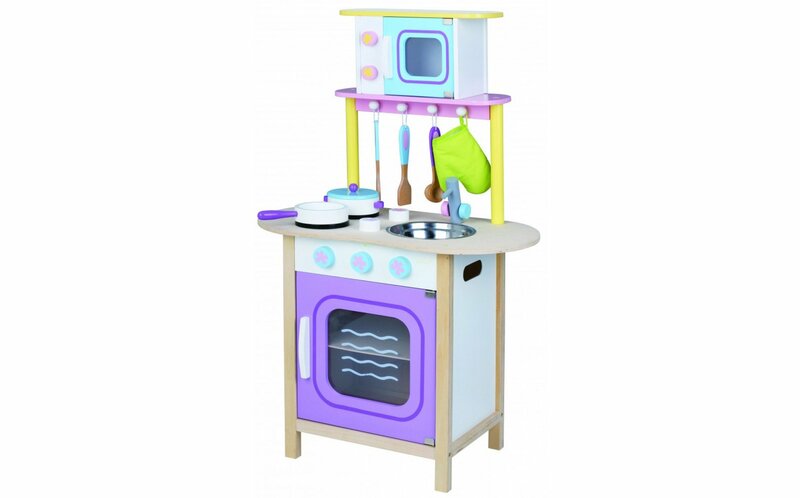 This colorful kitchen with microwave will encourage imagination and creativity in your playroom. 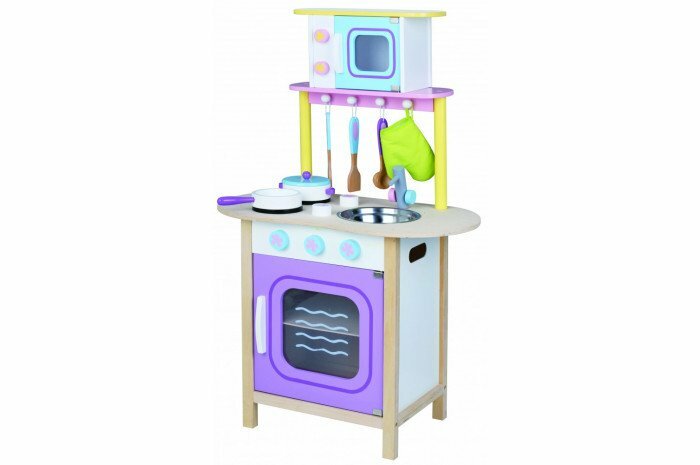 Opening doors and accessories including spatula, spoon, sauce pan with lid, frying pan and oven mitt. Assembly required.